Drop the kids off with Gillian Farrell and release their inner potter for a creative session working with real clay! 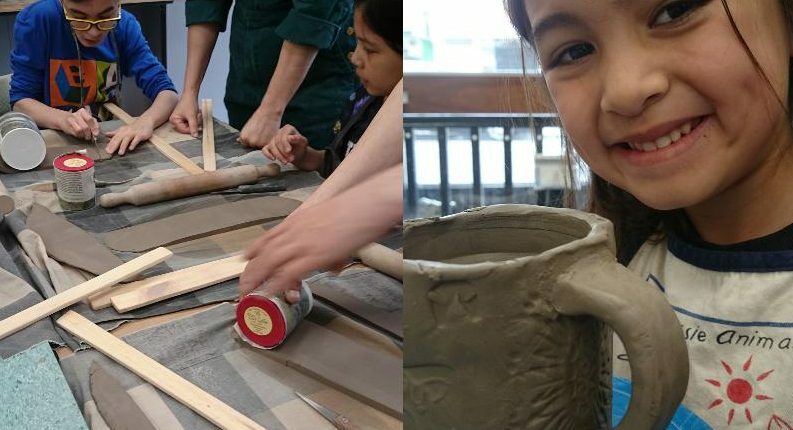 These bookable 1.5 hr pottery sessions are suitable for 6-11 year olds. These sessions are limited to small groups so that everyone gets lots of attention and can work at their own pace. Term 1 – 22nd September, 6th October 2018. Term 2 – 3rd & 17th November, 1st December 2018. Term 3 – 19th January, 2nd February 2019. Term 4 – 2nd & 16th March 2019. Term 5 – 4th & 18th May 2019. Term 6 – 15th June, 6th July 2019. Includes clay, firing and glazes for 2 small to medium sized pots.